If you’re looking for a professional WordPress Movie Theme for your movie project, then you’re at the right place. 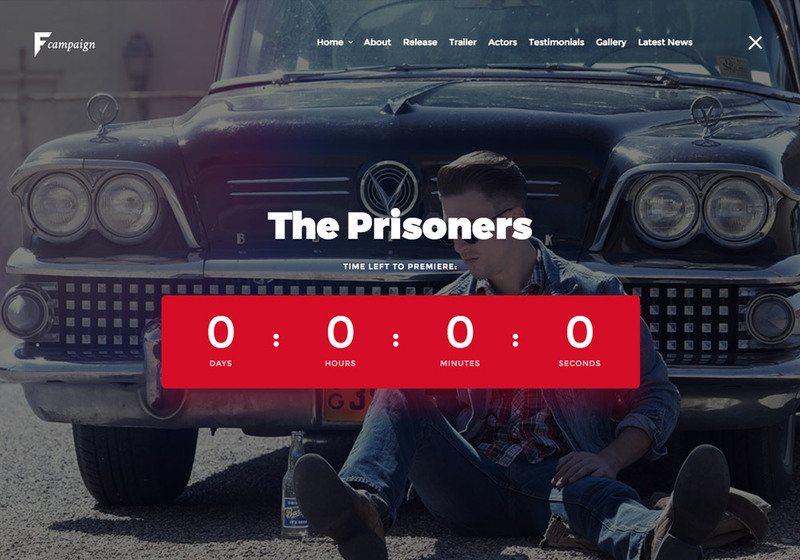 Today we’ve listed some amazing WordPress movie themes which allow you to build visually stunning movie-related websites. These WordPress themes are created for various movie-related projects including movie booking websites, movies index, movie blogs, and movie review sites. They all offer the best modern tools for managing your website in a convenient way. This list is short and we’ve skipped many other choices in order to make your decision easier and less time-consuming. We’ve only included those are professionally coded, visually impressive, modern and more importantly newly released in 2017 or get updates regularly ensuring you they are usable for your new website. 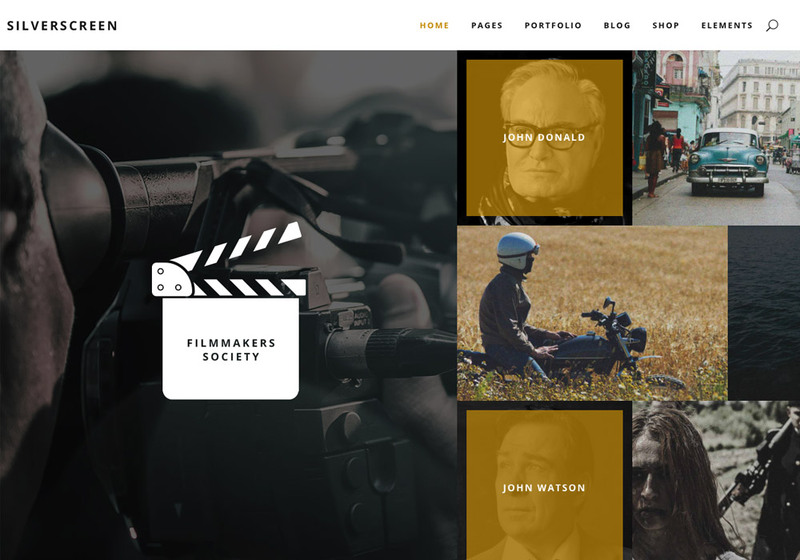 SilverScreen is a creative WordPress theme for movies, filmmakers, and production companies. It comes with unique designs for all major parts of a film company. The theme is a totally fresh design released in June 2017 and has an average rating of 4.89/5 on ThemeForest. SilverScreen offers various visually stunning homepages for different aspects of a film company. Templates like a movie home, trailer showcase, film festival home, filmography, and special pages for directors. Lastly, its design is professional, modern, clean and in one word outstanding. Don’t hesitate to try the demo if you’re still with me! 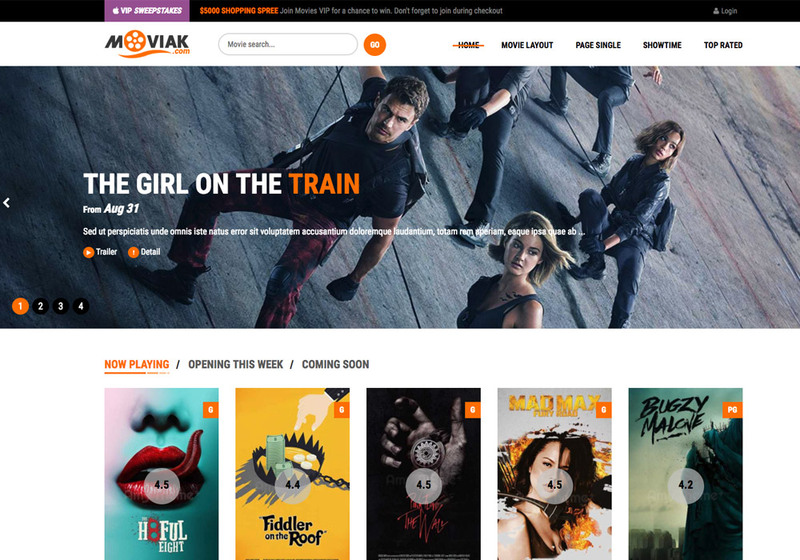 themovie is another cool new WordPress theme designed especially for movie-related websites. At the moment, it comes with 5 homepage layouts each dedicated to one capability of the theme. Homepages with parallax, slider, trailer focus, gallery and fullscreen. For example, the homepage parallax is appropriate for a moving launch landing page offering required sections like movie details, trailers as video, introducing the cast, events, gallery, and some reviews. The other homepages are more specific to a particular purpose. One for only the trailer, the other for the movies’ pictures, etc. Using themovie, you have the option to add movies, posters, series, cast, trailer, sponsors, etc to your site in a user-friendly convenient way. I mean user-friendly because it uses the leading page builder Visual composer which is a right tool for even beginners to create complex layouts just by drag-n-dropping premade elements. The theme has many more features to offer, if you like the design, the features will persuade you to use it. 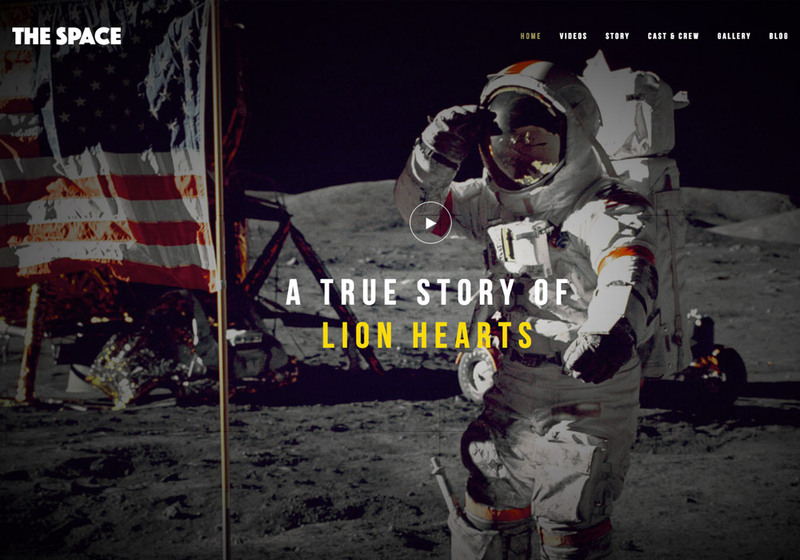 The Space as the creators explained is a single film campaign WordPress theme. If you need something creative and different, try The Space WordPress theme. It has some amazing features as well as professional innovative design which thoughtfully design for movie campaigns. It includes multiple homepage templates, video background, and dedicated pages for cast, gallery, blog, and videos. To get notices about the uniqueness of the theme, check for example this page which is designed for the cast. Let’s check another Film Campaign WordPress theme that is worth checking. FilmCampaign is WordPress theme for TV Shows and Films. It includes multiple page templates for highlighting the different aspects of your movie or tv show. There are totally 14 homepage demos included helping you build your website in no time. You can import the demo versions just by one click and use the amazing ready to modify pages. I liked the typography, colors, elements’ structure and creative usable elements. It’s obvious a professional designer has spent countless hours to create such a professional design. A professional movie needs a pro design too. 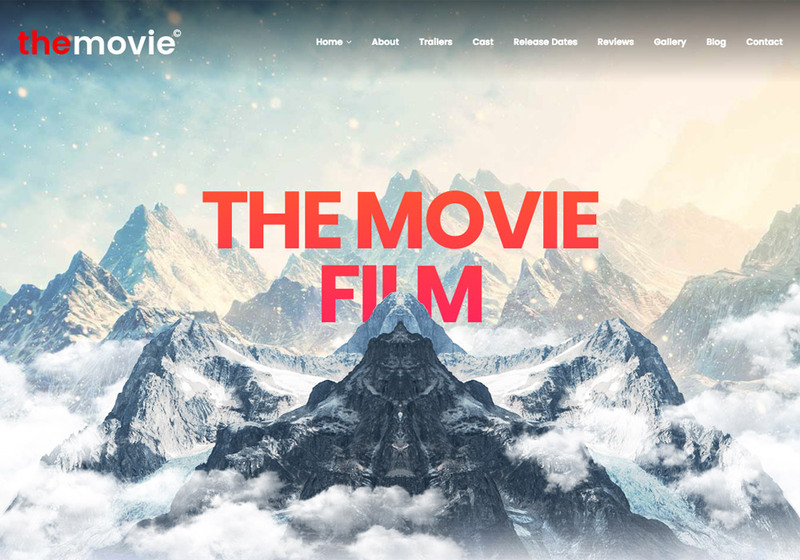 Moview is a responsive WordPress theme inspired by TMDB, IMDB, and some other popular leading movie websites. It is built on Visual Composer with custom elements which allow you create unlimited variations by mixing the different elements. You can easily sell tickets too by using WooCommerce plugin which is supported by this theme. Also, the theme comes with three amazing navigation menu designs that you can choose from using the theme options. 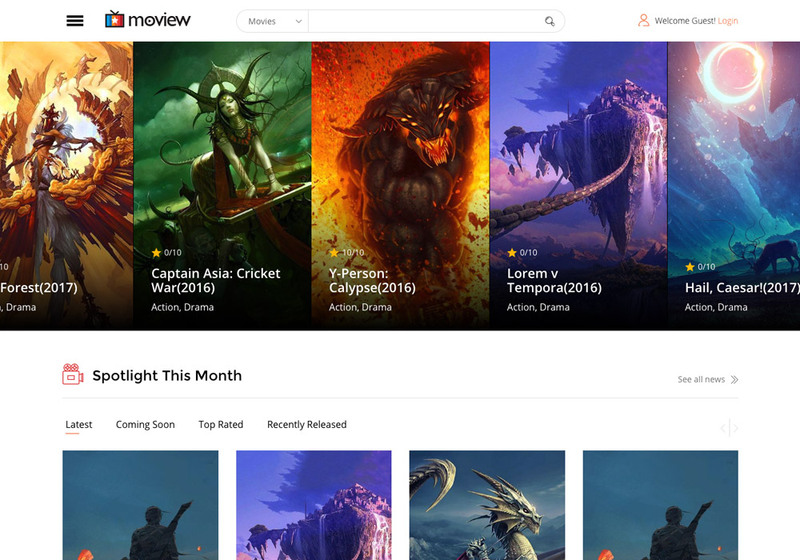 Moview also supports BuddyPress and bbPress which is a good news if you like to build a community website around movies. AmyMovie WordPress theme is a movie/cinema theme which offers a totally responsive layout meaning that your website will look great on all types of devices with different screen sizes. It has two primary home styles with different designs. that you can choose for the homepage of your website. These homepages are included in the package and you can import and use them with just one click. With ArmyMovie, you can showcase movies in different templates like 2/3/5 columns grid or a simple list. Also, there are several pre-designed pages at your disposal. Pages for Actors, directors, genre, cinema and a single movie. Also, check the awesome showtime page, which is a tool helping your visitors find a specific movie show time based on its title or cinema.